Maximizing our leisure time outdoors just like everything else in our busy lives requires some strategy. 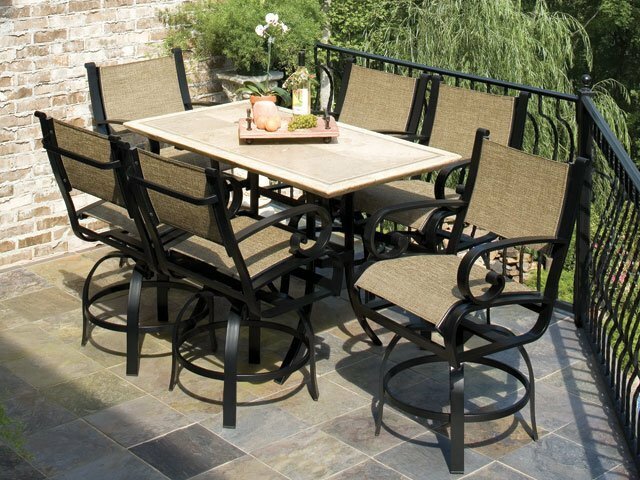 Selecting the correct style and quantity of outdoor furniture in Winnipeg is really a great place to start planning to ensure that you are spending the most time outdoors. Consider where the sun is at various times of the day, decide if you will be in sun lounging or enjoying dinner with the family. It is never fun to be short one chair, consider a small love seat. A bench or couch is often perfect for accommodating that one extra guest as well as cozy for those romantic nights under the Prairie sky. With a multitude of table top options- Acrylic, Synthetic Stone, Fiberglass, Cast Aluminum and Copper available it can be quite easy to coordinate effectively with the existing yard environment.